Videography skills will bec ome increasingly important for the scientist of the future to keep pace with the rapid changes in communications technology and electronic publishing. As public demand for more accessible and engaging science information increases and as competition for science jobs, research funding, and space in journals becomes more intense, those scientists with multimedia skills such as videography will be at a distinct advantage. 21st century consumers of scientific information, both technical and non-technical, will expect media-rich content, and scientists must be prepared to provide it. This ebook is a must-have for the current generation of science students as well as established scientists who wish to add video to their communication toolbox. By following the instructions and tutorials included in this ebook, anyone can quickly acquire the necessary knowledge and skills to create their own science videos. 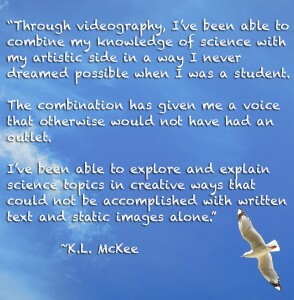 This ebook is chock-full of tutorials, tips, examples, and exercises designed to get you started in science videography. 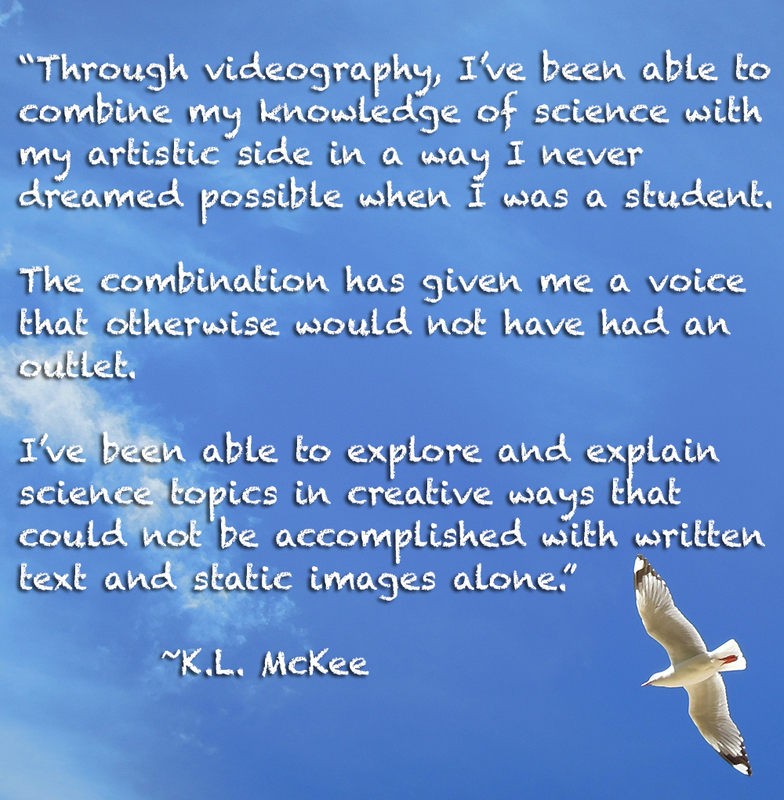 It is written especially for those scientists and students who want to use video in their teaching or research but cannot afford or don’t have access to a media specialist. The use of inexpensive hardware, software, and accessories is emphasized to allow video creation without breaking the bank. The information in this book is not just for scientists, either. If you are an educator, consultant, resource manager or entrepreneur and need to learn how to create a video, you will find that the instructions in this ebook are readily transferable to other fields and different objectives. The Scientist Videographer, which is available in the iTunes Store for $14.99, can be read on an iPad, iPhone, or Mac (running OSX10.9 and with iBooks 1.0 or later). To download to your device, you first need to get the iBooks app (available in the App Store) and then search for the title, The Scientist Videographer. Once downloaded, you will have access to all the included interactive content as well as hyperlinks to additional online material. If you prefer, you can first download a free sample, which includes the book’s media trailer and first Chapter. Then if you decide to purchase, it’s easy to update to the full version. 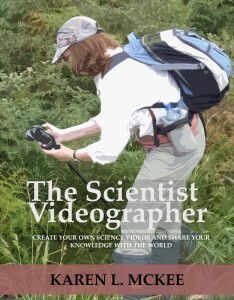 A text-only version of The Scientist Videographer is now available at Amazon for Kindle. If you prefer to read on your computer, you can download a Kindle reader to your PC here. A text-only version is also available at other major retailers via Smashwords.